Dr. Vickum Senanayake, a busy senior executive in the corporate world took up to serious photography in 2012. Over a short period of a year, he managed to challenge the status quo, being a stimulant to the industry and taking part in international competitions of photography around the globe. Nearly 500 acceptances of his images in 59 countries, including awarded images, involving 0ver 100 exhibitions with 35 circuit exhibitions, in a time span of a period of four years (2012-2016), is credited towards his achievements in photography. Crowning glory in the field has been the receiving of “Excellence” FIAP (EFIAP) from the Federation International de l’Art Photographique(FIAP), considered the world’s governing body of photography, among other global Distinctions received for photographic achievements. 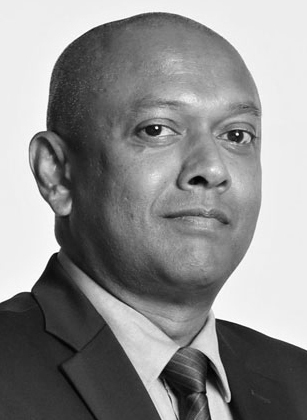 Dr. Vickum Senanayake, is currently the Group Chief Corporate Officer and CEO of Enterprise Business at EZY Corporation Sri Lanka, while he serves as the Country Membership Director and the Country Liaison Officer of the Photographic Society of America (PSA), in Sri Lanka.